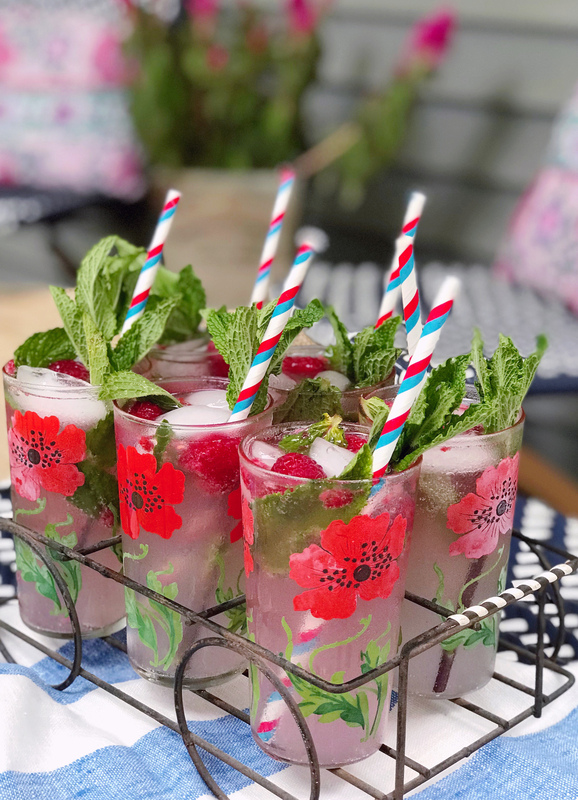 I have been craving a fresh, fruity summer drink and mixed up a batch of this easy raspberry mint lemonade to quench my thirst! 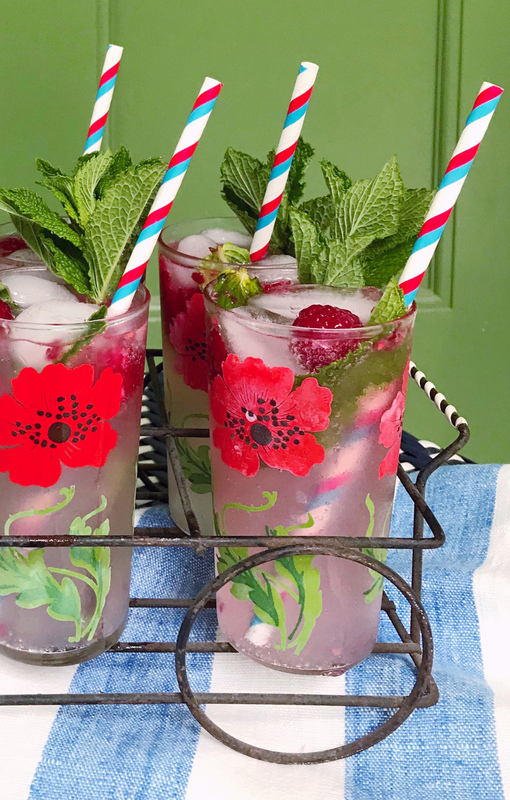 It’s such an easy recipe — just a few muddled fresh raspberries and mint leaves in the bottom of a glass, topped with ice and filled to the top with some good lemonade (sometimes I look for a sparkling version at Trader Joe’s!). If you’re serving it as a cocktail — which you totally should — add about an ounce of vodka to the glass before you top it with the lemonade. 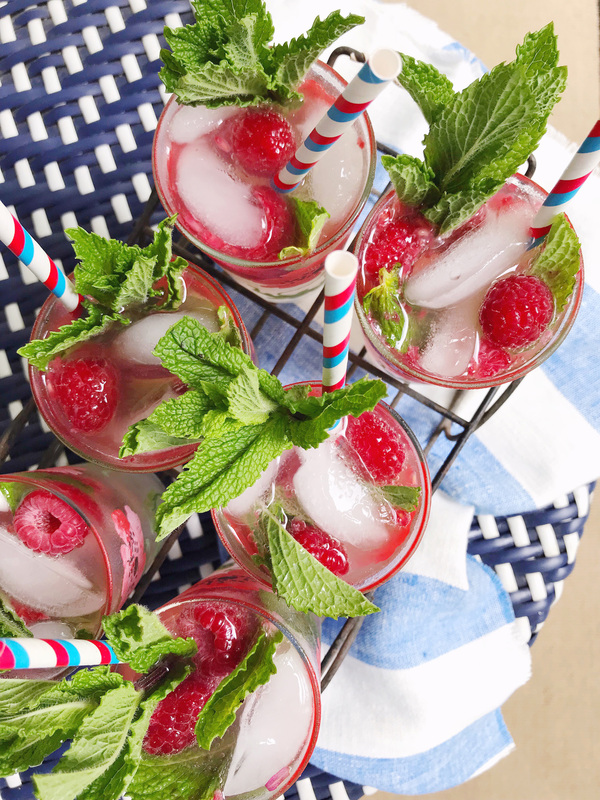 It makes a refreshing beverage to batch prep in a big pitcher for summer parties, and it looks so very festive with the bright green mint and red raspberries muddled in the glass. 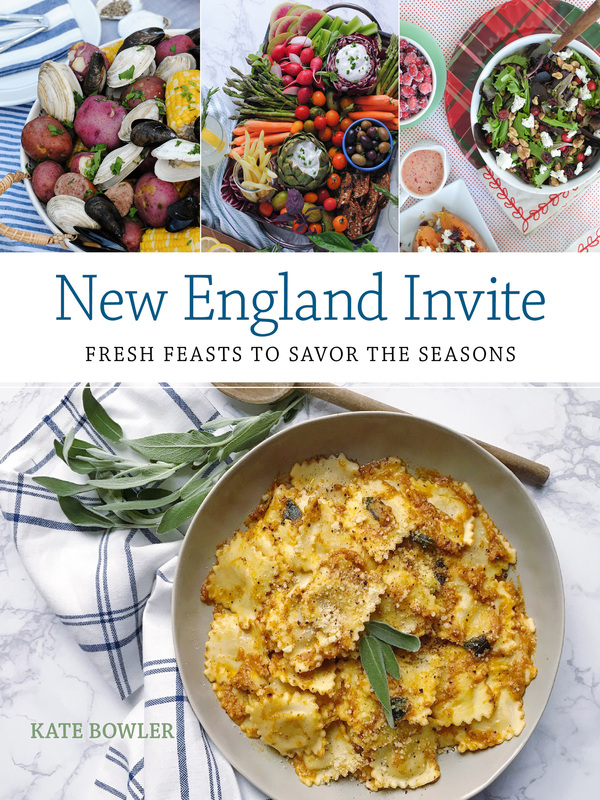 Leave the vodka on the side so guests can decide to spike it (or not!) to their desired drink strength. 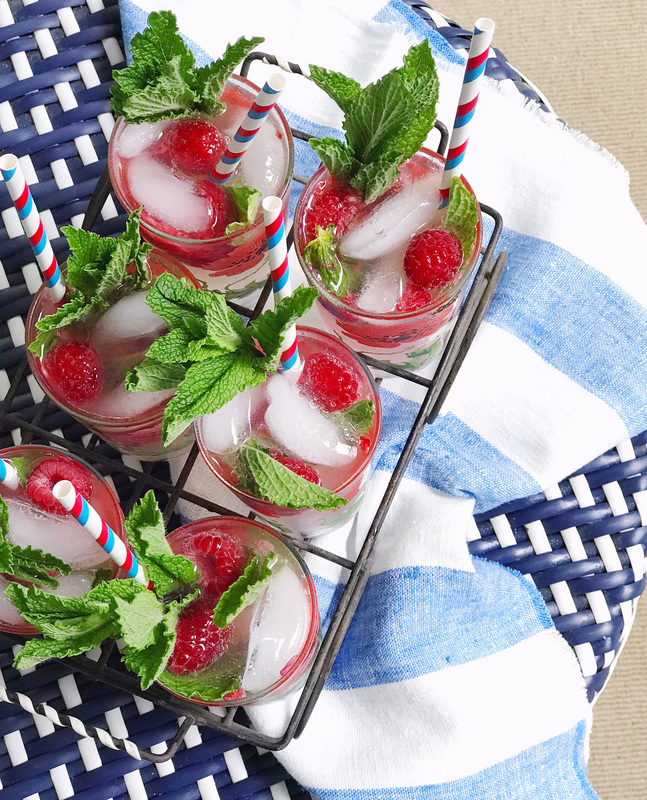 And set out some festive straws and long sprigs of more fresh mint to let everyone garnish their cocktails! 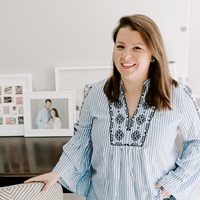 The Download – 05.30.18 Garlic Basil Grilled Shrimp Skewers.